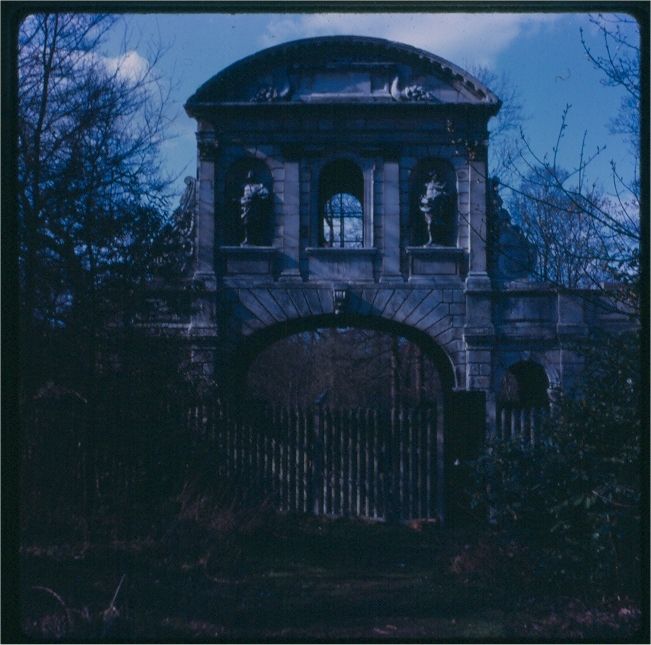 This 1968 photo shows a ruined gateway in the grounds of a stately home in rural Hertfordshire. What is it a gateway to? Where does it lead? The structure is Sir Christopher Wren’s Temple Bar, a key part of his re-imagining of central London after the Great Fire. It is a symbolic gate, intended to demarcate the end of the Strand, and the entrance to the City. I love the idea of a landmark so out of context – once the very threshold of what was, at the time, the busiest city in the world. In this picture it’s just a windswept gateway to nothing, mouldering near the M25. Wren’s structure, erected in 1672, sat on the original site of a previous gate, destroyed by fire, which had been founded in the 12th century by the Knights Templar, who also built Temple church near Fleet Street (near Temple Tube). It was one of the eight gates into the medieval City, and although none of the others survive, the names of those gates (among them Aldgate, Moorgate and Bishopsgate) will still be familiar to modern Londoners. 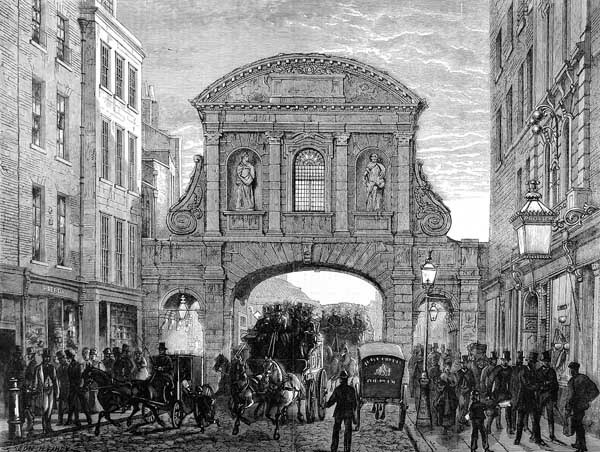 Temple Bar was demolished in the late 19th century, by which time its arch had become completely impractical for the volume of horse drawn coaches trying to battle their way into Fleet Street. The stones were bought by the wealthy Sir Henry Meux, who had it re-erected as a folly in the grounds of his house. 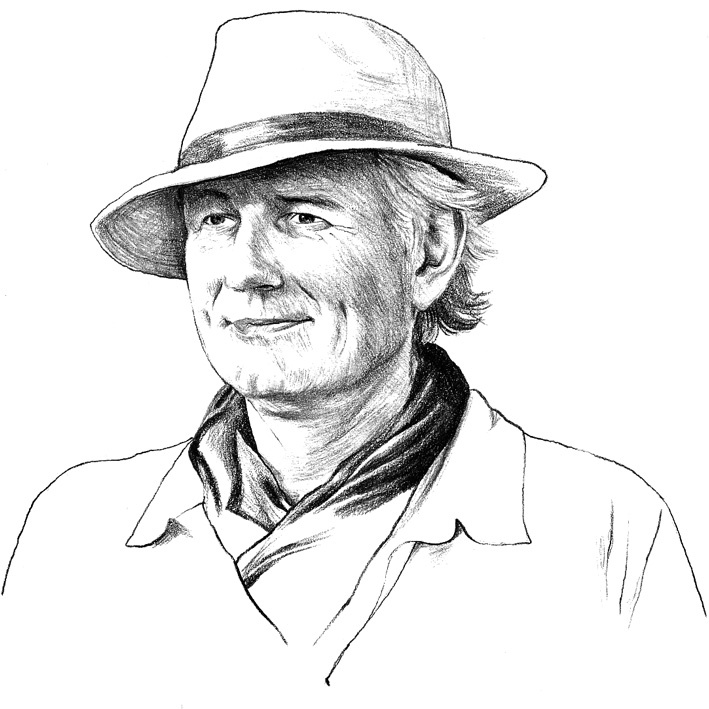 But the story has a twist – the gate came home. 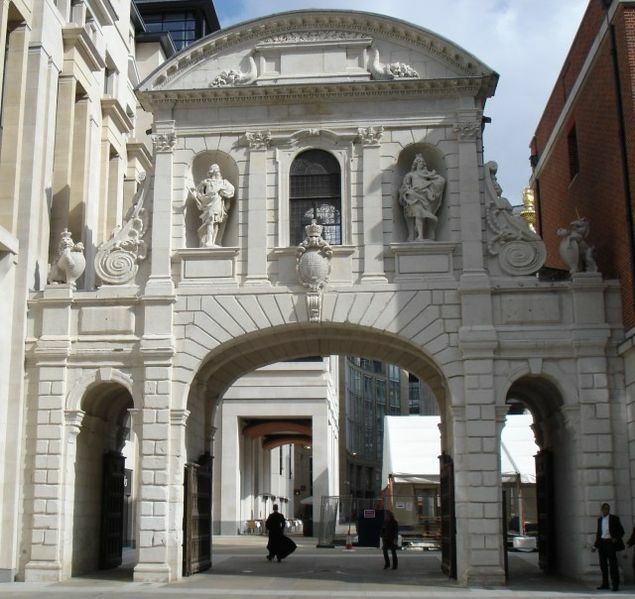 In 2003 as part of a redevelopment of part of the City of London, Wren’s structure was restored and rebuilt - albeit in a slightly different place. A similar process may soon be underway for another great London gate – this time a landmark of the first great age of the railways. The so-called Euston Arch (which isn’t actually an arch at all) stood imposingly at the entrance of Euston station between 1837 and 1961. It was a ludicrously grandiose statement, testament to the optimism which greeted the age of steam. Euston itself was an opulent station, with a ‘Great Hall’ built in classical style – fondly remembered by railway historians, but judged in the 1960s to be impractical due to vastly increasing passenger numbers. The station and it’s entrance arch, were condemned to be replaced with a bland, cheaply made and essentially featureless modern station. There was an outcry; the campaign to save the arch was particularly vigorous and protracted, with numerous last minute lobbies and high profile voices speaking out on behalf of the Grade I listed structure. In December 1961, however, these attempts failed and demolition commenced. The 1960s were a particularly tough period for Victorian architecture – Modernism held sway and function was seen to dominate over decoration. It’s difficult to believe that St. Pancras Chambers (aka the Midland Hotel), now considered a gem of Victorian Gothic architecture and perhaps one of London’s finest buildings, was slated for demolition in the same period. 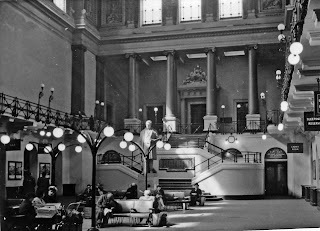 Without the lobbying of Sir John Betjeman and his friends, it too would have been lost. 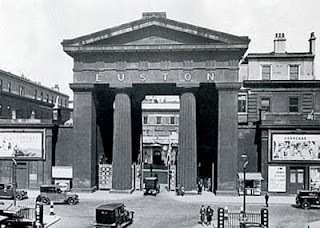 Few would argue that the destruction of the Euston arch was a terrible mistake, and made London a more faceless, boring city. But it’s all too late, it’s long gone – right? Not quite. In the 90s, architectural historian Dan Cruikshank discovered that most of the stones from the arch had been kept complete, and used to fill a hole in the Prescott channel, a flood relief waterway in East London. Furthermore, being made of granite, it was discovered that the blocks had barely weathered at all in the intervening years. Even despite this discovery, the stones might still have rested there in perpetuity - if it wasn’t for the London Olympics. As part of the regeneration of the area, improvements made to the channel saw the remaining stones dredged up – and handed over to the newly formed Euston Arch Trust. 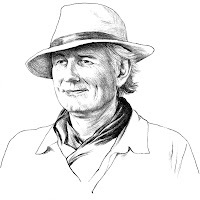 In an article for ‘Redefining London’, Dan Cruickshank (whose portrait I drew for the project) wrote that over 60% of the stones have been recovered – with many more believed to still exist in the gardens of the original demolition contractors. The project is still very much up in the air – it would cost more than 10 million pounds to re-instate the landmark. 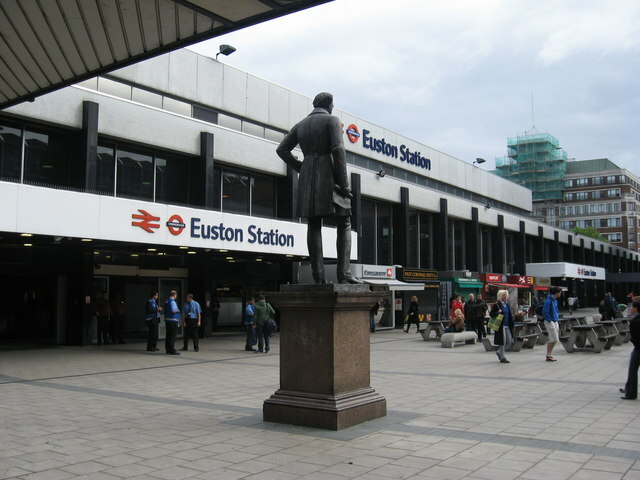 But with a proposed redevelopment of the Euston site (following on from the success of the St. Pancras rebirth) it looks to be very much a case not of ‘if’ but of ‘when’.